Awww, come on! It wasn't his fault...wasn't ALL his fault. 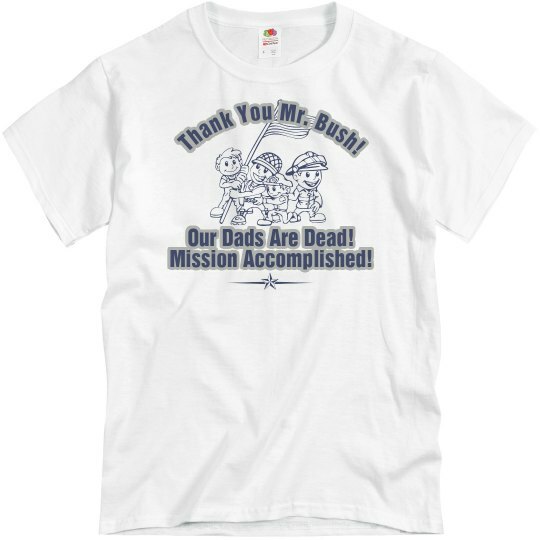 Custom Text: Thank You Mr. Bush! | Our Dads Are Dead! | Mission Accomplished!